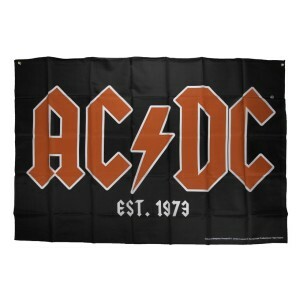 ACDC black flag with classic red logo and white "EST. 1973" printed below. Flag is awesome! 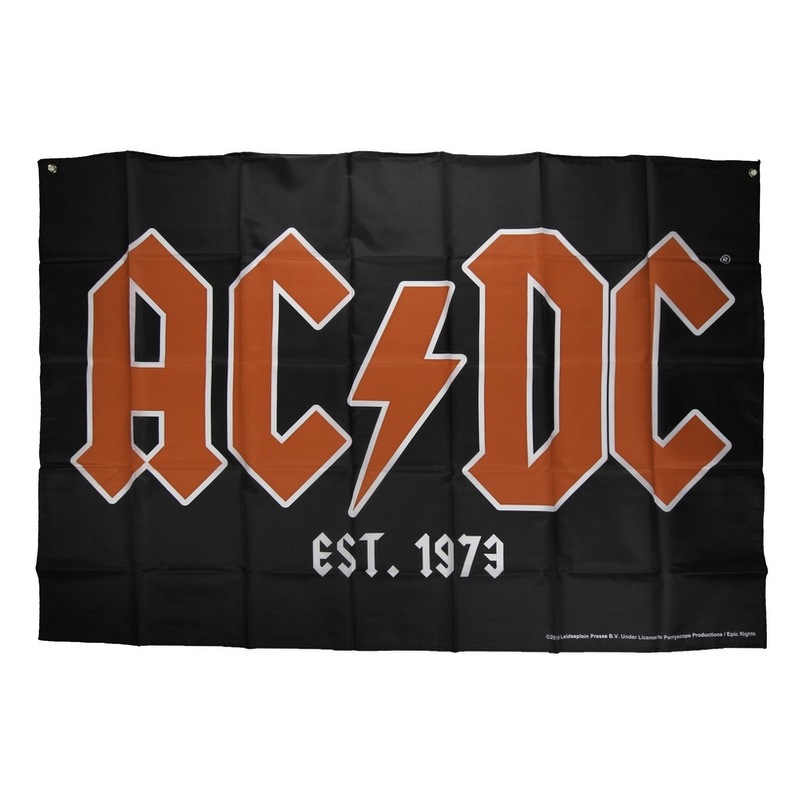 Needed a classic AC/DC flag to fly &amp; hang proudly! LOVE IT!!! PUT IT UP ON MY SHOP WALL AND EVERYBODY SAID HOW COOL IT WAS!! !